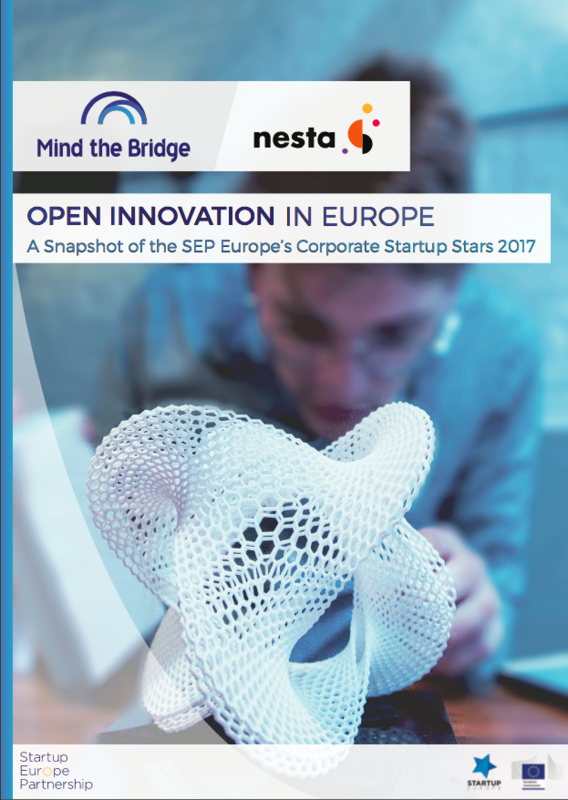 On the occasion of the 2017 Award Ceremony of SEP Europe’s Corporate Startup Stars we published a research snapshot with insights into the open innovation activities of leading European firms. Trend Setting and Education: More corporates are opening innovation outposts in the main tech hubs. Flexible lean antennas are preferred rather than more structured labs and research centers. 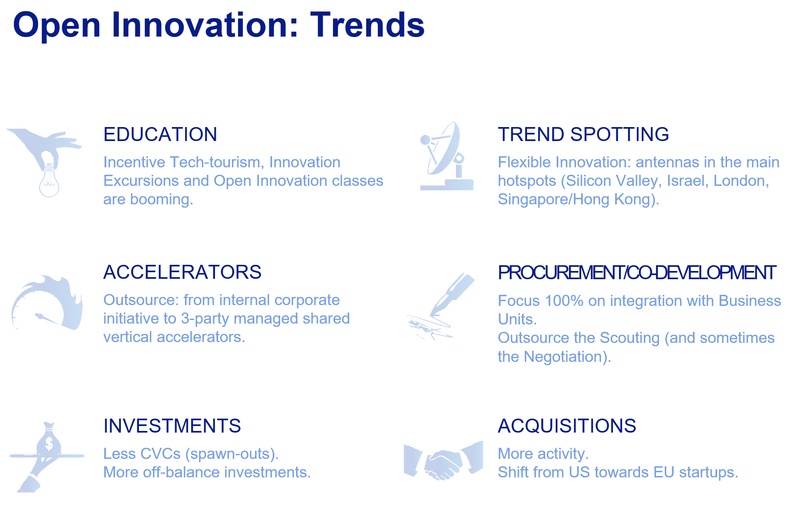 Incentive Tech-tourism, Innovation Excursions and Open Innovation classes are also booming. Silicon Valley is the typical destination, followed at a distance by Israel and Singapore. Corporate Accelerators: Partly because many of the benefits of accelerators are diffuse and difficult to measure, there are growing concerns about financial sustainability (in terms of internal rate of return) of acceleration programs. Some corporate executives will take the view that strict impact measurement is neither possible nor needed, especially if the goal is internal cultural change; others will gradually shift from internal corporate initiatives to third-party-managed, shared, vertical accelerators. Startup Procurement: Funded proof-of-concept and co-development programmes are being widely used by leading corporates to initiate their engagement with startups, often leading to procurement contracts. This typically favors later-stage startups (i.e. scaleups). Though hard data is unavailable, such schemes are widely perceived as being productive. Startup Investment: Our analysis shows a gradual reduction of the use of CVC funds in favour of off-balance investments. Investments (as well as acquisitions) back positive commercial engagements and strategic considerations, rather than being driven by financial returns alone. Startup Acquisitions: Our analysis confirms that European corporations are mildly acquisitive, in comparison with US counterparts. More activity on the M&A side seems likely and would be beneficial. Open Innovation Units: Top European corporates have – or are planning to establish – a dedicated open innovation unit. These units typically report to a newly appointed Chief Innovation Officer or Chief Digital Officer. Hopefully we were able to cast a bit of light on what’s to come. More detailed data points in the research and posts to follow.